North Korean Army Lt. 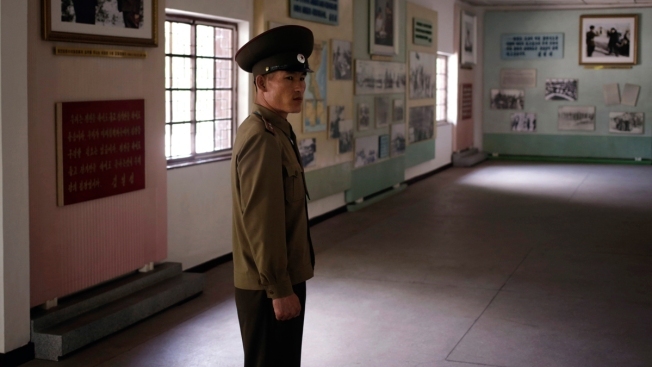 Colonel Hwang Myong Jin stands inside the museum of the armistice agreement between North and South Korea at the truce village at the Demilitarized Zone (DMZ) which separates the two Koreas in Panmunjom, North Korea, Wednesday, June 20, 2018. Hwang, who has been a guide on the northern side of the Demilitarized Zone that divides the two Koreas for five years, says that since the summits between North Korean leader Kim Jong Un and the presidents of South Korea and the United States, things have quieted down noticeably in perhaps the most iconic symbol of the one last place on Earth where the Cold War still burns hot. Lt. Col. Hwang Myong Jin has been a guide on the northern side of the Demilitarized Zone that divides the two Koreas for five years. 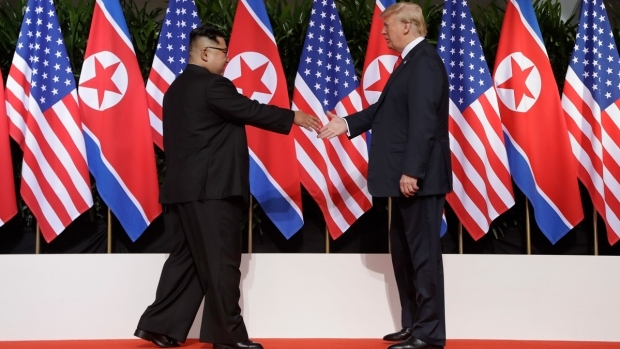 He says it's gotten quieter here since the summits between North Korean leader Kim Jong Un and the presidents of South Korea and the United States, in perhaps the last place on earth where the Cold War still burns hot.